Calling all lovers of local spirits! 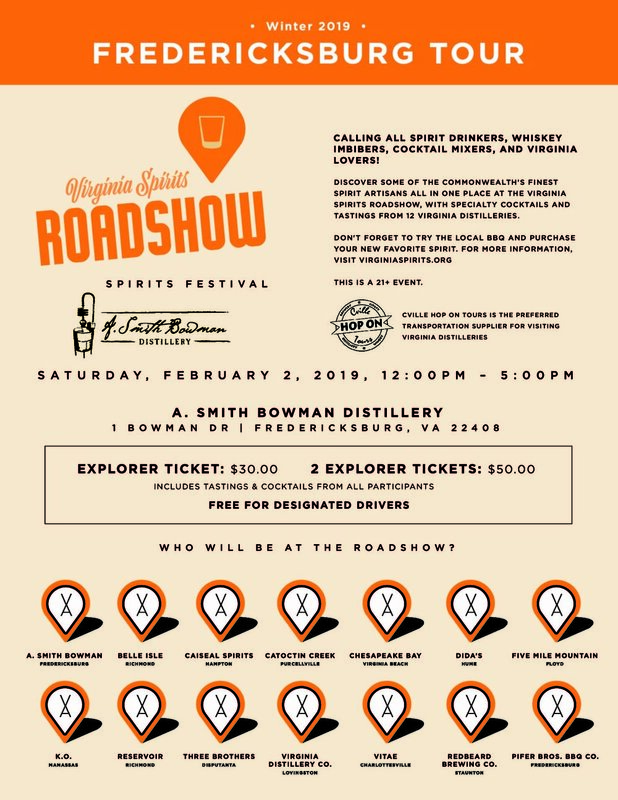 Come join us for the Virginia Craft Spirits Roadshow at A Smith Bowman Distillery in Fredericksburg, Virginia, on Saturday, February 2nd from 12-5pm. Tickets will include all samples of artisan spirits as well as craft cocktails from numerous Virginia distilleries, as well as local brews! Purchase any bottles you enjoy to take home (we’ll store them at our concierge station while you enjoy the event). Complimentary distillery tours every hour on the hour!